Scotts BLR20085S turbo blower delivers powerful performance with the Turbo Fan Technology. The 2-speed control allows for maximum air speed up to 120 MPH and maximum airflow of 465 CFM. 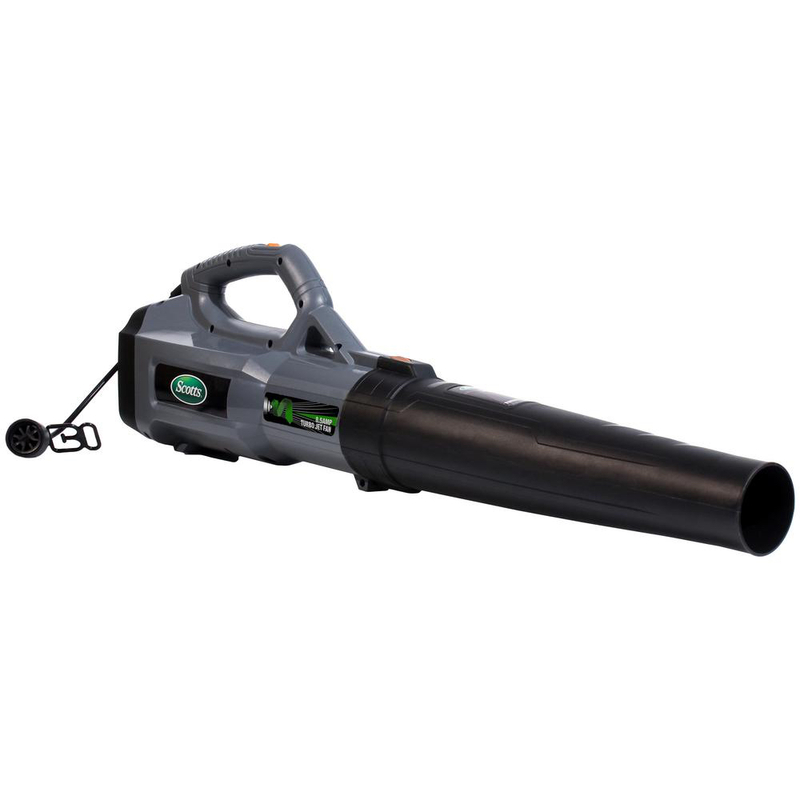 It blows away the performance of any gas-powered blowers and no gas, no oil, no mess and it starts every time. Ideal for removing debris on all surfaces and leaves in your yard. 3-year warranty.